Between the 21st of July and the 3rd of August 2014, the Stirling & District Amateur Radio Society (GM6NX) hosted a Special Event Station to celebrate the 2014 Commonwealth Games held in Glasgow, Scotland. The Special Event Station was run at the Stirling & DARS’ QTH, located a few miles east of Stirling and approximately 25 miles north-east of Glasgow. It was decided that to mark this special occasion, a suitable callsign would need to be chosen. Throughout 2014, stations located in Scotland can apply via an online NoV to use the prefix GA, MA or 2A to celebrate Homecoming Scotland. It was therefore decided that using the prefix GA would not only capture the spirit of the Commonwealth Games as part of Homecoming Scotland, but that GA is in itself a rare prefix and would certainly attract a lot of interest from prefix hunters. Therefore, with permission from Ofcom, the callsign GA14CG; Golf Alpha One Four Commonwealth Games was chosen for the operation. The activation would begin at 0:00 BST on the 21st of July and run part-time until the 3rd of August at 23:59 BST. It was agreed that a target of 20,000 QSO’s would be set for the duration of the activation. The aim of the Special Event Station was threefold; to have fun running a large Special Event Station, to celebrate and represent the Commonwealth Games using Amateur Radio and to allow clubs and individuals from across Scotland and beyond to participate in the activation. The club wanted to promote its open door policy and encourage as many people as possible to join in with the celebrations, with the aim of fostering greater links within the amateur community. Invitations went out to many clubs and groups as well as adverts in many amateur radio news outlets about the activation. 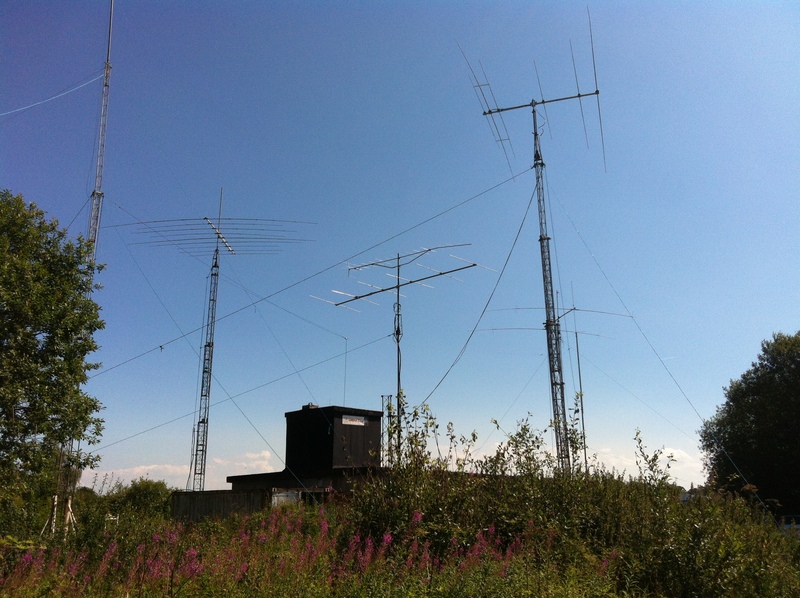 The Stirling & DARS has excellent facilities at its QTH, including 3 HF stations and a 6m VHF station which are permanently on air and available to club members and visitors throughout the year. The three HF stations utilise similar set-ups, consisting of Icom IC756 Pro IIIs, Acom 1000 amplifiers and networked computers for logging. Each station is set-up to work on a specific band(s) and antennas range from the Optibeam OB9-5 on a 70 foot tower for 20-10m, to the Cushcraft XM-240 2 element Yagi for 40m on a 60 foot tower. There is also a quarter-wave vertical for 160m. Throughout the activation, GA14CG would be QRV from 160 through 6m; using SSB, CW and Data. 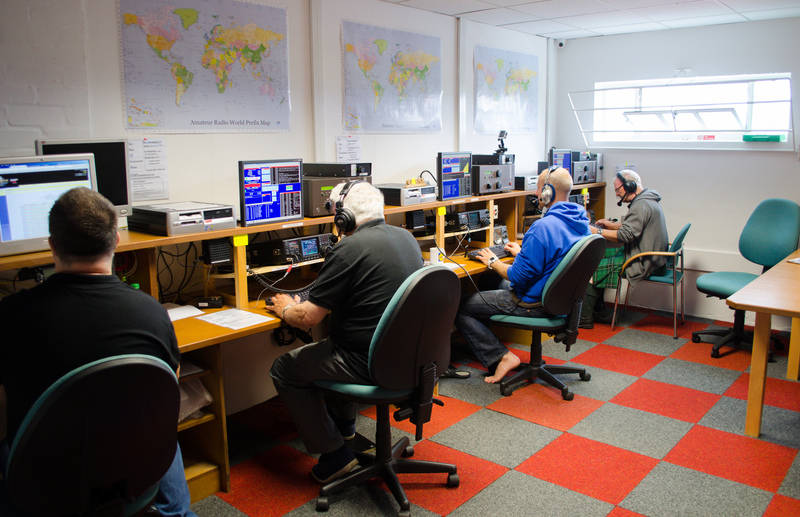 As soon as the station went on the air at 0:00 BST on Monday 21st July, the station was immediately generating a lot of interest within the UK on 40/80m, whilst 20m was yielding good results into both North and South America. Within the first 24 hours of the operation, almost 1,500 QSO’s had been made. As the activation progressed, the pileups continued, forcing some of our operators to run split, or even “work by numbers”. Whilst HF conditions were generally disappointing, 40m continued to surprise, with lots of VK and JA being worked during the evenings. After almost 4 days since the start of the operation, a QSO was still to be made on the 15, 12 and 10m bands. This was very disappointing, but a result of poor propagation. Even 10m E’s were virtually non-existent. However, by the end of the first week, conditions began to improve and the QSO count on 15m was starting to ramp up, but both 12 and 10m remained disappointing. At around 10pm BST each night, 17m would open to North America, bringing in the west coast of the US with strong signals. Working into CA, OR and WA was as easy as working the east coast of the US and Canada, with the large pileups continuing well into the early hours of the morning. Even during the day, 20m proved to be popular into Europe and Clive, 3B8CW from Mauritius even found the time to call in and spot us on the cluster! The 40m station was also proving very popular, as the band was always open to somewhere in the world. The nights would bring in lots of exotic DX, whilst the band was open for Inter-G and Europe during the day. Several highlights on 40m included working a young amateur who was at his local club studying for his Foundation licence as well as operators who had just received their licence and were contacting GA14CG for their first ever QSO! There were a number of dedicated operators who ensured that the GA14CG call was on the air as much as possible. Jonathan, MM0OKG used his holiday off work to keep at least one station on the air throughout much of the day and night, which resulted in him working very long shifts throughout the operation. Robert, GM3YTS, chairman of the GMDX Group ensured that the call was very active on CW whilst Frank, MM0HST was able to put in a number of long shifts and managed the pileups well into the night. John, MM0GCF was one of the many volunteers working at the games and his role as a Team Leader Driver was to transport competitor’s family members across venues throughout Glasgow. 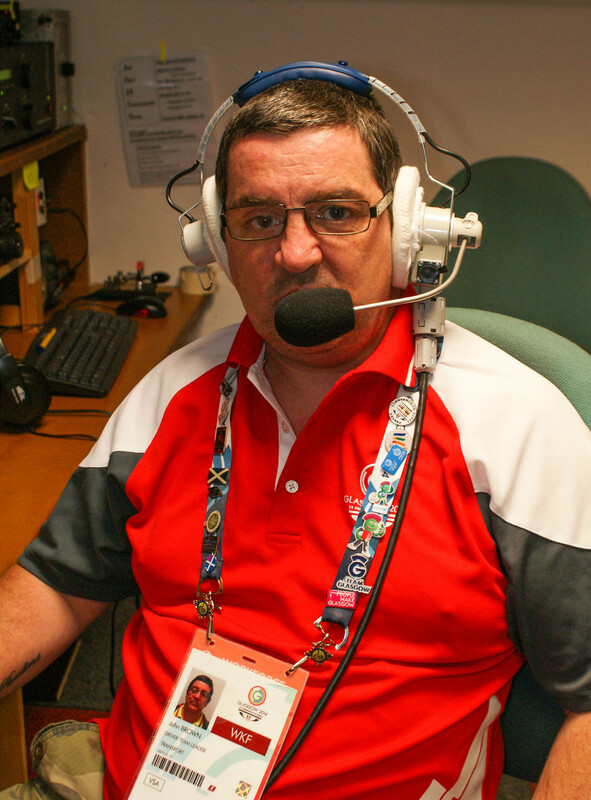 John also managed to attend and operate the station and his contribution to the successful outcome of the 2014 Commonwealth Games and the GA14CG activation were much appreciated. 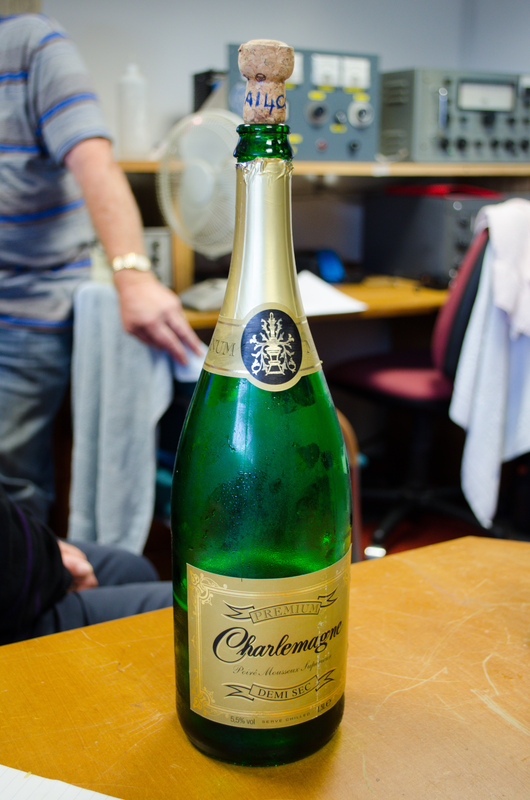 After 14 days of part-time operation, the station went QRT on the 3rd of August at 23:59 BST and achieved 22,234 QSO’s, breaking the original 20,000 QSO target. It was clear the callsign was well sought after and that the station was delivering a strong and reliable signal across the globe, despite the often poor conditions. On the final night of the operation, GA14CG was the most active callsign on Clublog, having been in the top 3 for a number of days. Even after going QRT, GA14CG remained in the top 10 for a number of weeks. The callsign also attracted over 1,470 spots on the DX cluster with many stations working us for additional band and mode slots. Special thanks and congratulations goes to Roland, G3VIR for working GA14CG on an impressive 7 bands and 9 slots, with just 12 and 10m missing! Roland will be receiving a special prize to commemorate his achievement and support of the activation. As well as an impressive QSO count, the station also worked 173 DXCC entities; with 92 confirmed on phone, 71 on CW and 101 mixed via LoTW at the time of going to print. 32 of the 53 Commonwealth Nations were also worked during the period of the activation, including all Commonwealth Nations located in the Caribbean and Americas. The station also achieved basic WAS as well as WAS on phone, with 45 states confirmed on CW via LoTW. Only a confirmation from MT is missing to complete WAS on both 20 and 17m. Finally, 912 prefixes have been confirmed on LoTW to date across multiple bands and modes, resulting in the achievement of the CQ WPX mixed award. Surprisingly, the GA14CG activation was able to beat the QSO and DXCC count of the 2012 Welsh Olympic station 2O12W, which ran for 6-7 weeks as well as matching the QSO count of the London Olympic station 2O12L on most days, despite our activation being a part-time operation and only lasting for 14 days. 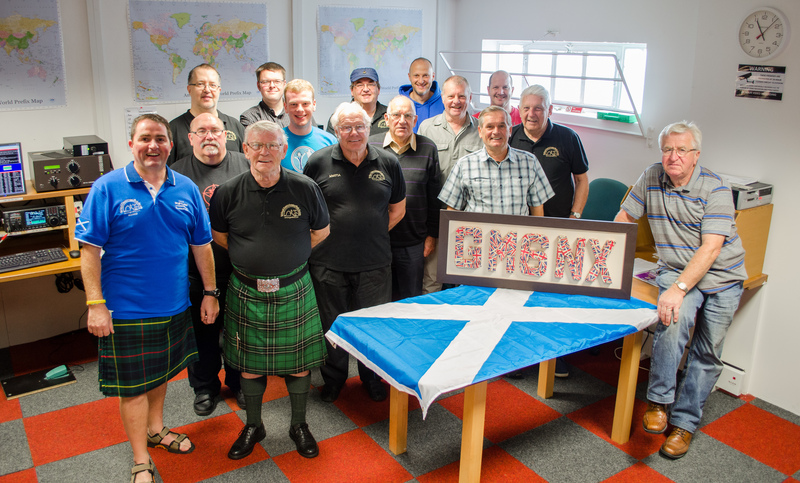 It is believed that GA14CG has set a new record for the number of QSO’s by a Scottish Special Event Station, something which the team is very proud of. The activation was well represented on all forms of social media and in the Amateur Radio Press, receiving coverage on TX Talk, DX World, Southgate Amateur Radio News and on many other outlets. The GA14CG Twitter and Facebook accounts were used to share news and photos from the activation, announce operating frequencies and provide updates on QSO progress. The activation was also supported with a website, providing information on everything from QSL procedures to allowing visitors to book an operating slot. The GA14CG QRZ.com page received around 54,000 lookups in only 14 days, with most people visiting the page to find out more about the operation and to check the real-time online log, hosted by Clublog. Additionally, various Youtube videos were posted to the GM6NX Youtube Channel showing off the shack and the various operators who attended the operation. Some videos were even uploaded to Youtube from operators all over the world who had worked the station. The event was supported by amateurs from right across Scotland and beyond, which was one of the original aims of the operation. Visitors from Ayr ARS, Dundee ARS and the GMDX association operated various slots throughout the 14 day activation, with other individuals travelling great distances to support the event. Even a member of Ofcom staff stationed in Glasgow for the duration of the Games found the time to visit the club and operate the station. A tribute to all clubs and individuals who operated and supported the activation can be found on our website. The Stirling & DARS would like to thank the support it received from the RSGB as well as the GMDX association, who not only helped to operate the station, but who also provided a loan of an HF Yagi for the duration of the operation. Thanks also go to members of the Stirling & DARS who not only operated the station, but who also provided logistical and moral support. An operation of this size required a great deal of planning and had it not been for the technical and logistical expertise of John, GM1BSG in particular, the station would not have been a success. It was clear that the technical and operating aspects of the hobby came together successfully at the event and much experience has been gathered with respect to planning and hosting large events at the club. The friendly characters at the club also ensured that everyone had a great time and that visitors were made to feel very welcome. We hope to see many of them back! Finally, thanks to everyone who worked the station and remained patient in the pileups! Without your support, we would not have reached our 20,000 QSO target or achieved our other equally impressive milestones and awards. We hope you enjoyed the activation! QSL for GA14CG is via e-QSL or LoTW. Paper QSL’s can be requested using Clublog OQRS. Please don’t send cards direct or via the bureau, as they will not receive a reply.